Asperger's Officially Placed Inside Autism Spectrum Researchers have referred to Asperger's as high-functioning autism for years, but it's never been listed officially as a form of autism by the American Psychiatric Association. But an updated edition of a mental health disorder guide now says Asperger's really is a form of autism — and some of those with Asperger's are objecting. 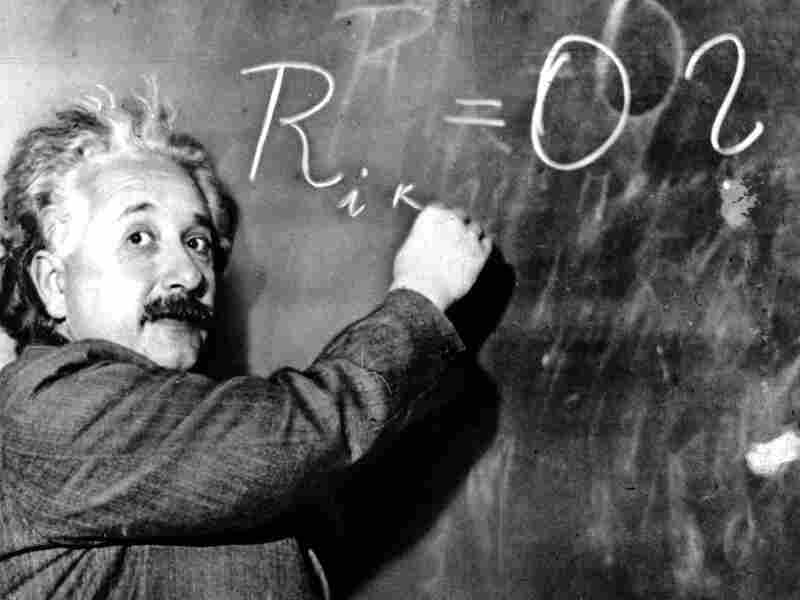 Many people with Asperger's take pride in a diagnosis that is thought to describe many important historical figures, including Albert Einstein (pictured above) and Isaac Newton. Asperger's syndrome is really just a form of autism and does not merit a separate diagnosis, according to a panel of researchers assembled by the American Psychiatric Association. Even though many researchers already refer to Asperger's as high-functioning autism, it hasn't been listed under the autism category in the official diagnostic guide of mental disorders, called the Diagnostic and Statistical Manual, or DSM. The DSM serves as a guide for mental health professionals and government agencies. But a new draft fifth edition released Wednesday moves Asperger's officially into the autism category, provoking a wide range of responses among people with Asperger's — some of whom say they do not want to be labeled as autistic. Instead of including a diagnostic category for Asperger's, the DSM 5 draft includes traits associated with Asperger's, such as difficulty with social interactions and limited, repetitive behaviors, in a broad category called autism spectrum disorder. "The intent is to try to make the diagnosis of autism clearer and to better reflect the science," says Catherine Lord, director of the University of Michigan Autism and Communication Disorders Center. Lord is part of the group that decided to consolidate autism-related categories, including Asperger's. But the change is going to be hard for some people with Asperger's, says Michael John Carley, executive director of the Global and Regional Asperger Syndrome Partnership in New York and author of Asperger's From the Inside Out. "I personally am probably going to have a very hard time calling myself autistic," says Carley, who was diagnosed with Asperger's years ago. Many people with Asperger's take pride in a diagnosis that probably describes some major historical figures, including Albert Einstein and Thomas Edison, Carley says. Under the new system, those people would represent just one extreme of a spectrum. On the other extreme is "somebody who might have to wear adult diapers and maybe a head-restraining device. This is very hard for us to swallow," he says. Yet Carley says he agrees with the decision to fold Asperger's into the autism spectrum disorder diagnosis. When clinicians see a patient with mental health issues, part of their job is to determine if the patient is experiencing temporary emotional struggles or if the patient has an illness. To do this, doctors rely on the bible of psychiatry, a book called the Diagnostic and Statistical Manual of Mental Disorders. The DSM lists all the mental disorders recognized by the American Psychiatric Association. The book is also used by insurance companies to decide which treatments they'll pay for, and by courts to help determine insanity or other mental conditions. Since 1994, when the fourth edition of the DSM added the Asperger's category, health care professionals have struggled to find a way to separate Asperger's from autism, Carley says. "Every time they've tried to draw that line it's been proven false in practice," he says. Right now, the diagnosis often hinges on a person's language skills. But that's pretty subjective and can change as a child grows up, researchers say. "The categories are just not used by clinicians in a reliable fashion," Lord says. A single category for autism spectrum disorder will let clinicians stop agonizing over which diagnostic category to put someone in and focus on their specific difficulties with communication, or social interaction, or information processing, he says. The change makes a lot of sense, says Roy Richard Grinker, an anthropologist at George Washington University who has studied autism in various cultures. He is also the author of Unstrange Minds, a book about his daughter, who has autism. "As somebody who has a child with a diagnosis of autism, I want to be able to turn to the official criteria and see a description that sounds like my child," Grinker says. "Right now my child sounds like three or four different disorders." When his daughter was 4, she met the criteria for classic autism, Grinker says. Now that she's in high school, she would probably be considered Asperger's or maybe just a quirky kid, he says. Eliminating the Asperger's diagnosis won't mean that people in that category will lose access to services, Grinker says. That's because "almost anybody with an Asperger's diagnosis also could qualify for what is called autistic disorder," he says, adding that the change could make it easier for some parents to get help for a child with Asperger's. Right now, states including California provide services to children with autism but not those with Asperger's, Grinker says. "So removing Asperger's really removes what is a false barrier to parents getting care for their kids."